Back pain is one of the top two reasons people visit their doctors, and whilst it can get better with time, it can also develop into a chronic vulnerability. A short video uploaded by Dr. Evans explains the types of symptoms most people experience, and suggests developing a ‘Back Resilience Plan’, to help people avoid their symptoms becoming worse. He first explains how persistent back pain presents itself. It is often felt in the low back and hips and can often get better with corrective exercise. Secondly he refers to leg pain such as sciatica that often comes from a disc problem, and finally age related pain due to wear and tear, which in some instances may need further investigation. He explains which warning signs to look out for ‘red and yellow flags’. These are helpful markers and will help you decide whether you need to visit your GP. The more you learn about back pain the more likely you will be able to find the right practitioner to facilitate your recovery. There are common patterns associated with back pain, and in my experience no two people are the same. In most cases exercise will aid your recovery from back pain. Managing discomfort whilst developing mobility can be a challenge for most people. I would advise working on a one to one basis with a clinical Pilates practitioner. You will be taught the necessary skills for improving your posture and alignment, how to address core stability, and which exercises are appropriate for your spinal condition. You should be given specific exercises to help address these issues. The exercises should be progressive and safe for you to practice at home. It is important to learn about your back pain. 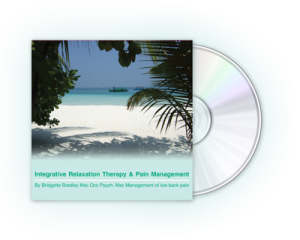 Then you can be proactive and manage your back pain through exercise. Plan an adventure and make it happen!! There is a cancellation policy of 24 hours notice please. A fee will be charged for non-attendance or late cancellation.